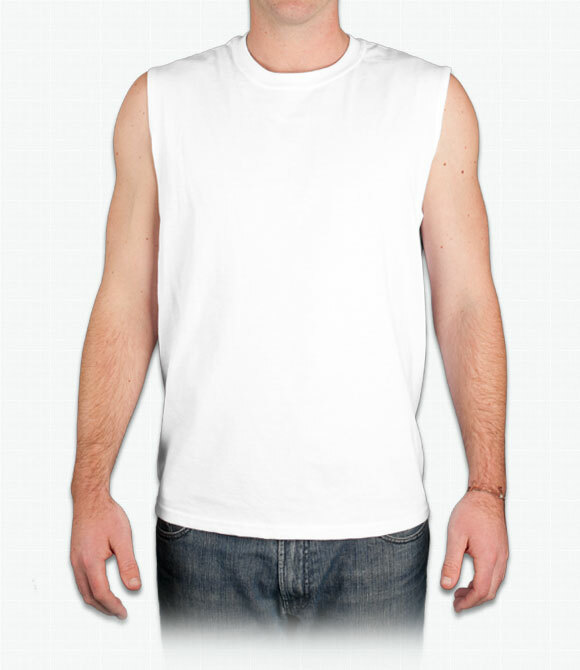 Not to be confused with the Gildan Ultra Cotton Tank, this variation provides greater shoulder coverage. "As soon as my shirt came in I was very pleased with all the design and the comfortable fit it had on me. I took it out on a test run to see if other people would notice and sure enough they did. I told them this was created from ooShirts.com. So you be getting more business in shirts (smiles). Thank you for the creation of my Sleeveless T-Shirt. I will be ordering again in the near future." "The shirt was fine and fit true to size. The print, however, is not high quality and appears almost transparent. "